As the new design season is upon us, we thought it was a good time to address the ever-evolving design climate out there. With the constant current of trade fairs and design festivals, product innovation and fast technology, we foster those pioneering Italian brands that are keeping luxury furniture design timeless and future-proof. It’s not about style trends, but the important and exclusive properties that these brands embody to protect our world. We search for unique products and brands at design shows, ones that create bespoke pieces that have been handed down from ancestry and are promoting a sustainable, environmentally friendly future making them untouchable business models in this dynamic industry. In our era of conscious shopping and ‘think before you buy,’ we tune into sustainable luxury; eloquence that is also eco-friendly, and VG New Trend are setting a benchmark for this with their use of alternative materials. 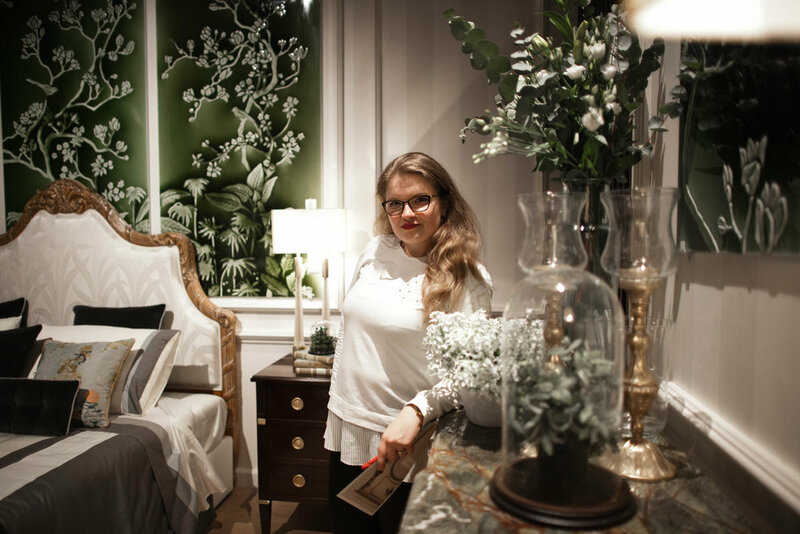 Founded in 1991, the Treviso-based brand specialises in furniture, lighting, furnishings and fascinatingly, artificial botanicals that range from aloe plant to roses. At Salone del Mobile earlier this year, they broke new ground when they launched EticaLiving, a concept with Slow+Fashion+Design that takes classic features in its collection, and redefines them with sustainable materials. Plus, they ensure all is handmade in Italy to allow their customers to get to grips with journey of the design, while still offering a tailor-made service that promotes a zero-waste future in the luxury market. From opulent forms to minimalist silhouettes, there is an endless universe of design styles to choose from. However, luxury is about exclusivity and bespoke designs. Enter Borzalino, a company who have been offering custom options for over 40 years with its Tuscan, handmade armchairs and sofas. The artisan brand ensures the protection of its quality by using natural dyes for its leather, steering away from artificial colours to produce designs that are eco-friendly and not harmful to the environment. Furthermore, the options of finishes, from marble and wood to fabric and leather, remain limitless yet special and can instantly transform the essence of the piece. One of the first Italian furniture firms to exist, family-owned brand SALDA are also at the forefront of offering a refined tailor-made experience. A true representation of fine luxury, they create pieces that are not mass-produced, but entirely exclusive. Its heritage begins in 1890s at nobility and wartimes when they built wooden propellers for planes. This high craft from its aviation background and deep knowledge of antiquity and decorative arts is imbued in the eclectic classic contemporary furniture collections that are handmade in the North of Italy. This bespoke excellence and attention to every little detail is also developed in its superb post sales services too. Whether at a trade fair or in the residential environment, they deliver an idiosyncratic experience that reflects its offerings. A summertime favourite, luxury outdoor furniture and accessories brand Seora also have a firm focus on materials. Crafted in Northern Italy, and inspired by nature and the sea, its exceptional quality harnesses technology within its advanced materials. For example, the wood used is the same as in making acclaimed Riva boats! These exceptional boats that can be found at the upcoming Monaco Yacht Show use lacquering techniques that Seora also adopt within its collections, seamlessly catering to multiple environments. Find some of its eloquent best sellers, like the Riviera sun beds dressed in Loro Piana fabric and Oyster side tables with white Carrara marble tops at Nammos Beach Restaurant, a crown jewel of Mykonos, Greece, and the SLS Baha Mar Hotel, in Bahamas. Read more here. This Florentine lighting brand’s roots lie in the jewellery industry. The decorative and sophisticated models weave passion and mastery with technology and tools while still preserving its traditions. 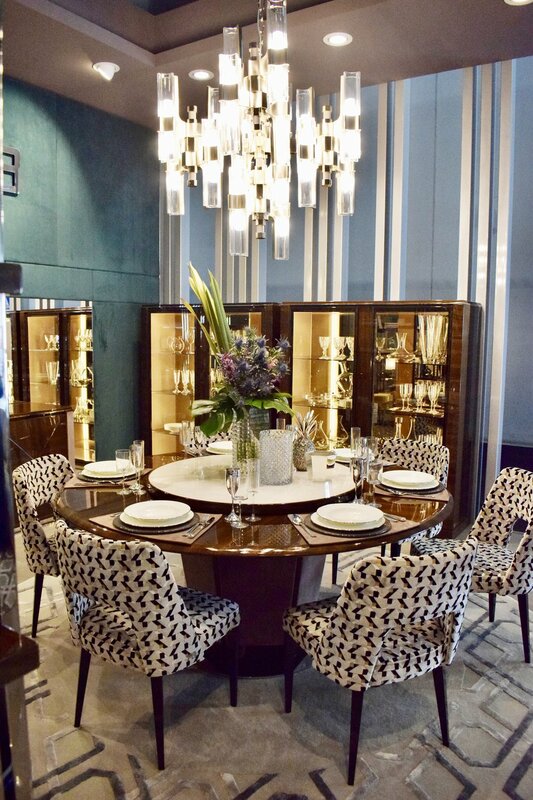 This inimitable quality of refined materials and bespoke choices often takes a significant amount of time to produce, but Officina Luce are changing this with their impressive lead times. Its fierce teams are changing the market and ensuring customers have what they need at a faster rate, whether it’s a geometric light, or one of its more embellished fixtures. Luxury design is about exclusive bespoke quality, shown in these industry game-changers. They are manufacturing unique pieces that have a heritage and are not overused. They are also tapping into the future with sustainable options and environmentally friendly methods. As we’ve almost finished London Design Festival, we know it takes time to navigate and research where to go and discover this type of high-quality design. It is easy to get lost among the various installations and exhibitions open across the city. Wouldn’t it be great to get all of these events, Focus, Decorex, London Design Fair, Design Junction etc, not to mention the parties and numerous events, under one umbrella brand in one location and website? Just a food for a thought.